A higher dimension of consciousness occurs when we are self-aware: when we not only act, but observe ourselves in the process of action. Some activities are best performed on a routine, automated basis, such as driving a car through familiar territory. To be continually thinking about how you are driving would interfere with the driving itself. That is the basis for most performance anxiety. Other activities are not routine and involve deliberate choice among difficult alternatives. Driving on very icy roads with very limited visibility is not a routine activity and proceeding on an automated basis could be fatal. In difficult terrain, you have to think carefully about how you're negotiating each turn, how fast you can afford to go, etc. That self-awareness helps you govern your actions, and it ultimately helps you address the larger question of whether you *should* continue driving under those conditions. Active trading is challenging from a consciousness perspective. On one hand, there are times when the trader needs to be absorbed in market activity, reading patterns as they unfold. This requires the ability to operate on a routine, automated basis. Active self-awareness can impair such real time pattern recognition. On the other hand, self-awareness is required for proper risk management and for those occasions when the trading path becomes icy, with limited visibility. 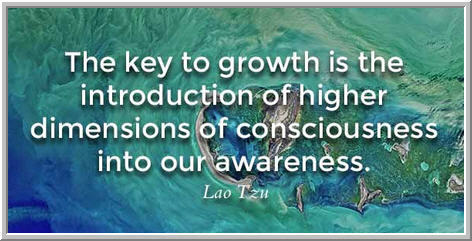 It is self-awareness that tells us we need to pull back from trading and reassess markets. We cannot pull back when we're on auto-pilot. Balancing market awareness and absorption with self-awareness and self-observation is one of the trickiest skills traders need to master. It requires a flexibility of focus, an ability to shift cognitive gears when self-control becomes vital. One way I've developed this gear shifting is to use losing trades and days as an automatic signal for stepping back and becoming more self-aware. The losing trades and days may be a sign that markets are changing; they also may signal that we're reading the market improperly. Losing trades are like seeing some ice on the road and fog in the air...we use the change in conditions to become more aware of how we're driving. 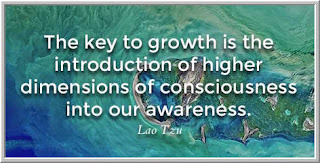 Practicing that gear-shifting--from market focus to self-focus and back again--is a great way to develop a higher consciousness in our trading. Every step back from the screens can become an opportunity to rehearse gear shifting and build our capacity for flexible performance.